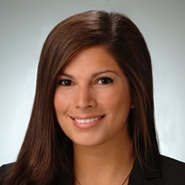 CHICAGO, Ill. — The national law firm of Quarles & Brady LLP today announced that Patricia Spiccia has joined the firm's Chicago office in its Tax-Exempt Organizations Practice Group. Spiccia previously externed at Morgan, Lewis & Bockius LLP in the Tax-Exempt Organizations Group. She also served as a judicial extern with the U.S. Courts for the Honorable Magistrate Judge Paul R. Cherry and the Honorable Jon E. DeGuilio. During law school, Patricia was a member of the Moot Court Society and an executive editor of the law review. She earned her law degree from Valparaiso University School of Law, her bachelor's degree from Indiana University – Bloomington, and her master of laws degree from Georgetown University Law Center.